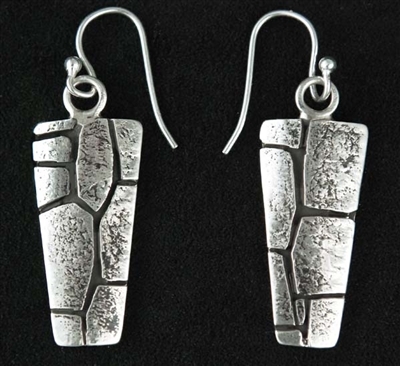 Well-known artist, Kee Yazzie has created this stunning overlay earring pair that features his cobblestone design. Kee has been making jewelry since 1995 and attributes his creativity to his Hopi and Navajo heritage. 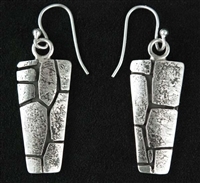 He is a talented young silversmith that does exceptional overlay silver work, with great detail in his designs. The earring measure 1 1/8" long by 7/16" wide, with silver French wires.